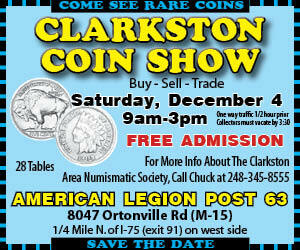 Marketing students at Clarkston High School are making the grade. As part of the sales unit each year, the CHS Marketing II class helps to select a one-time purchase item to sell in the school store, sets sales goals and is involved in all aspects of the business and marketing process for that item. This year, the students started with a brainstorming session where multiple items were discussed for sale. They landed on a squishy wolf. Samples were brought in and reviewed, but due to the Chinese New Year, shipping time and other production factors, it was determined that the squishy wolf would not be made and shipped to CHS in time for the project. As part of the marketing for the project, students created print ads, social media posts, announcements, posters, photo ops, flyers and commercials. Since students identified the primary target market for their product as being students of elementary age and their parents, the class was able to reach out to elementary schools in the district to partner with them to help make event sales. Bailey Lake, Springfield Plains and North Sashabaw elementary schools helped to send out the flyers, social media and announcements the students created, as well as giving them time and space to sell their product on site. Students set up a table and signage during parent-teacher conferences and donned the larger Wolfie mascot costume to drum up fun and sales. As the project picked up momentum and excitement for Wolfie grew, a few minor adjustments had to be made. One group lagged behind a bit in sales for a short period of time and had to make a few adjustments that included sending out more flyers targeting staff and parents at the high school. The students had a list of additional marketing activities ready and they used personal selling, word of mouth advertising and social media to create more buzz about their product. 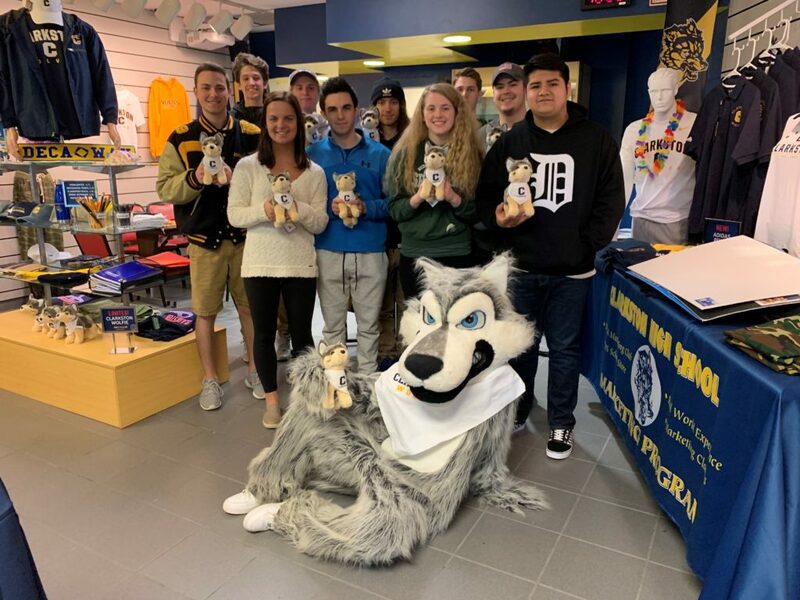 After running the sales number and determining that the Wolfie toy was poised to sell out, the students scaled back their promotion some and did not have to activate the other marketing activities they had planned. 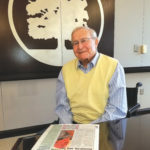 Many of the senior Marketing students plan to keep studying the topic next year in college. “We loved the way it turned out and were very excited to see people’s reactions to it,” added senior Paige Oliverio. “This project was really fun. I enjoyed working in teams to try and achieve the goal and come up with creative ways to sell the wolf. It was really cool to go to the elementary schools and see how excited the kids were when we brought the wolves out. The teams definitely made it more competitive, which overall led us to want to sell the most wolves, the fastest. 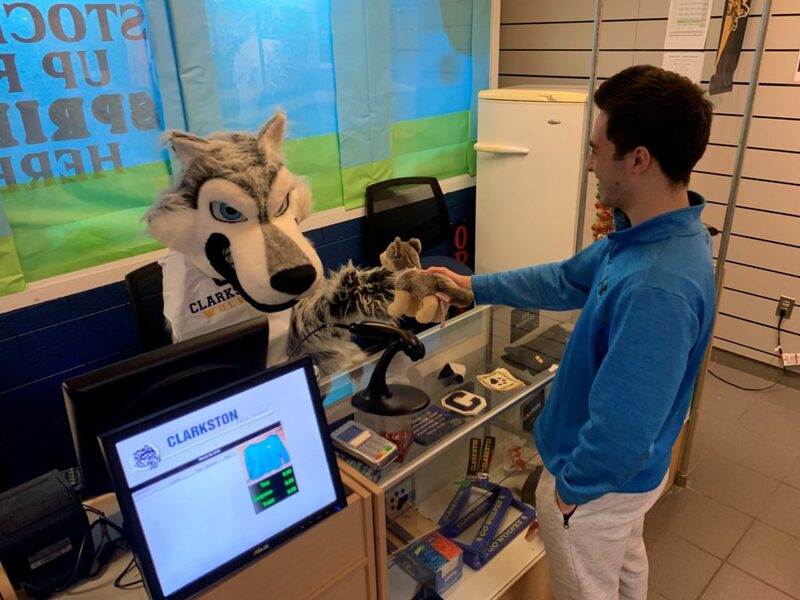 “I was learning how to market a product and make real sales by meeting new people, families and just seeing how happy the kids were when they got their Wolfies,” said Quezada. “It was definitely an amazing experience to learn and get insight on how people actually make sales and how companies market themselves and their products. I would say this project enlightened me by giving me some real-life experience in sales and marketing, so I take great pride in my work in this project.